Canonbury railway station serves the district of Canonbury within the London Borough of Islington in north London. It is on London Overground's North London Line and East London Line. The station and all trains serving it are operated by London Overground, and the station is in Travelcard Zone 2. This location of the station is close to the boundary with the London Borough of Hackney. The station originally opened in 1858 to the east of its present location as "Newington Road & Balls Pond" and was renamed "Canonbury" shortly before the move to its present site in 1870. In 2007, the ticket office was extensively refurbished, as part of the station upgrade programme delivered through conversion to London Overground. 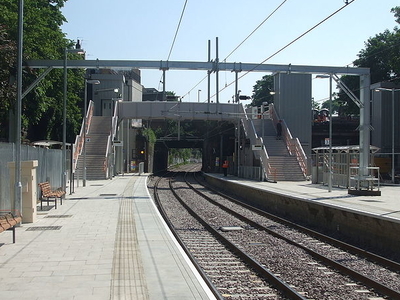 On 1 June 2010, as a result of the East London Line extension, North London Line services were rerouted to the newly constructed platforms 3 and 4, with the East London Line trains now using refurbished platforms 1 and 2. 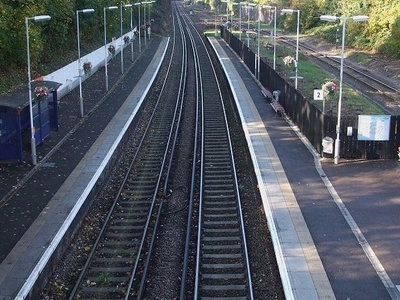 Here's the our members favorite photos of "Railway Stations near London Borough of Islington". 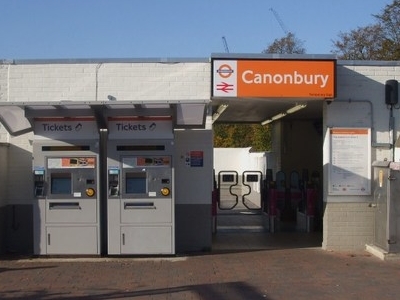 Upload your photo of Canonbury Railway Station!